Think photography is an easy job? Think again. 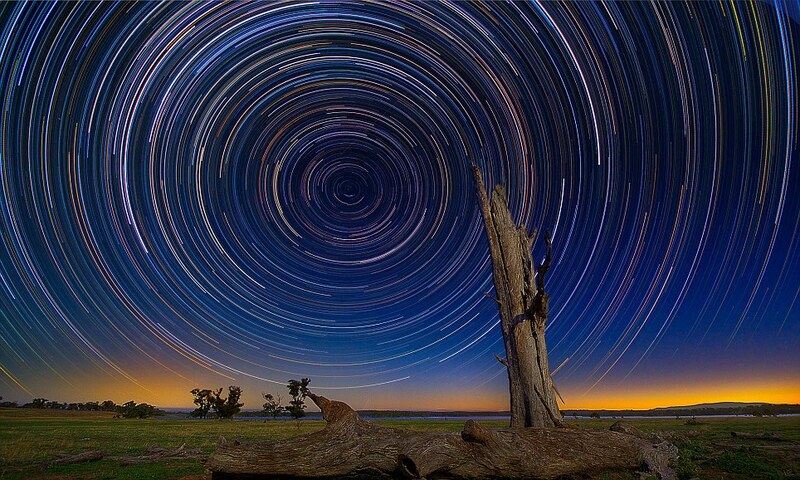 Or better yet, ask Australian photographer Lincoln Harrison, who spent periods of up to 15 hours outdoors in freezing conditions at night to capture these mesmerising shots of stars trails charting brilliant semi-circles across the night sky. Harrison says, “It was a gruelling night with a total shooting time of 15 hours in freezing conditions, sunset to sunrise.” And that’s to capture just one of the shots! The photos were taken near Bendigo, where the photographer set his camera on a tripod and set it to capture these long exposure images. As the earth rotated, the fiery stars left their imprint on the exposed sensor in the form of these light trails. Harrison got into photography relatively recently, having bought his first camera, a Nikon D3100, in October 2010 to take pictures of some clothes he wanted to sell on eBay. Before he knew it, he’d bought eight lenses and was shooting 2 – 3 times a week. The rest, as they say, is history—a breathtaking and colourful history. Head over to Harrison’s portfolio to take a look at some more of his images.